This is my 3rd day of using BlackBerry – Gemini type. Somehow, I feel weird knowing that this smartphone has been used as a ticket to be accepted in the society. I already had that thought in mind long ago, before finally someone gave it to me as a present (I couldn’t say no!). What is it about having a BlackBerry? BlackBerry offers a reality that the need of existence is now having the answer. By being online 24/7, people may believe that they own the existence needed in hands to live this life. BlackBerry also offers the most unbelievable ways to express oneself. 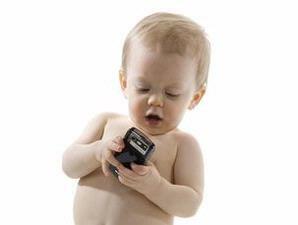 A person may update his/her status every 2 minutes! Honestly, I hate seeing my home screen whenever all I can see are the latest 10 updates of the same person. This is the era when people are not getting mad when they are called as autistic, as long as they have their BlackBerry in hands. My cousin greeted me in a warm opening line in my BlackBerry messenger. He said, ‘Welcome to the autism community, sist!” I guess nowadays, being an autistic person due to BlackBerry using is a new and acceptable trend. The users of BlackBerry are varied in ages, SES and occupations. You can see very busy businessman or a cranky-but-cute high school student with BlackBerry in their hands. The extreme case is when kindergarten or primary school students are using BlackBerry in their daily life. The most match example are my own students. They come from very rich family who can facilitate them with the latest BlackBerry model. One of the girls had lost her Bold due to her recklesness, because she left it at her English tutorial class! But her parents bought her another new one. Well, what can we say? Well, as humans, we are smarter than any gadget ever invented. 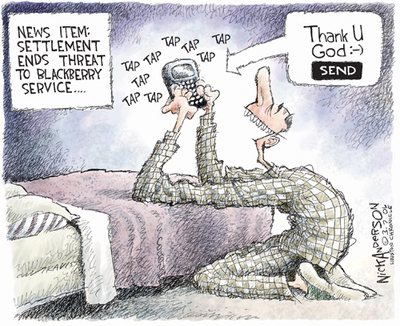 So, use your BlackBerry wisely and don’t be fooled by it!